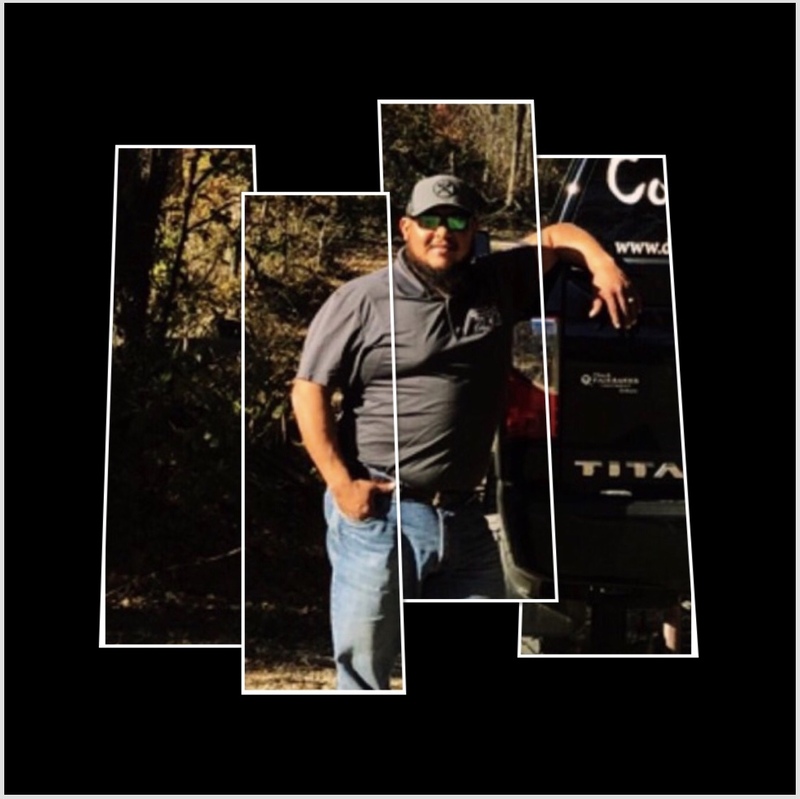 Don't forget to ask about our military and first responders discounts. 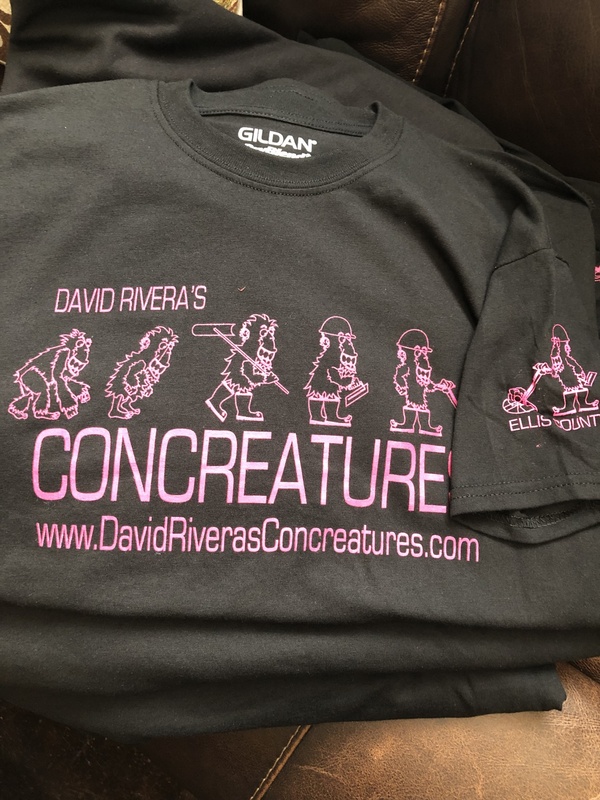 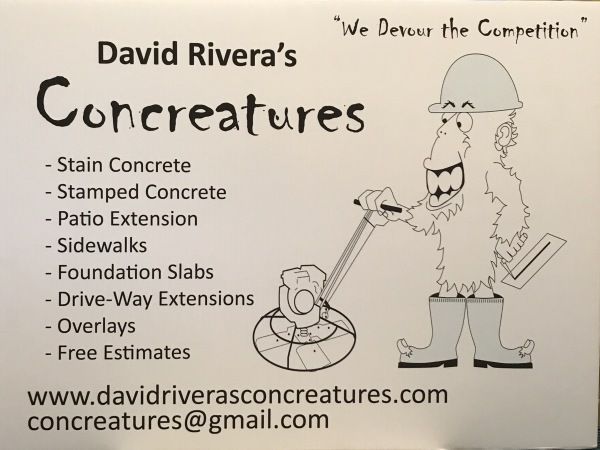 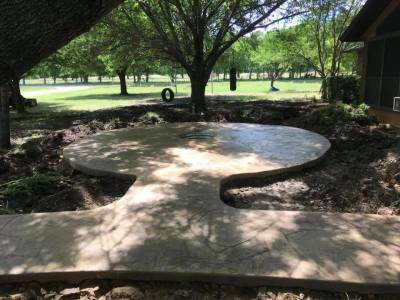 David Rivera's Concreatures will provide you with the best decorative concrete available. 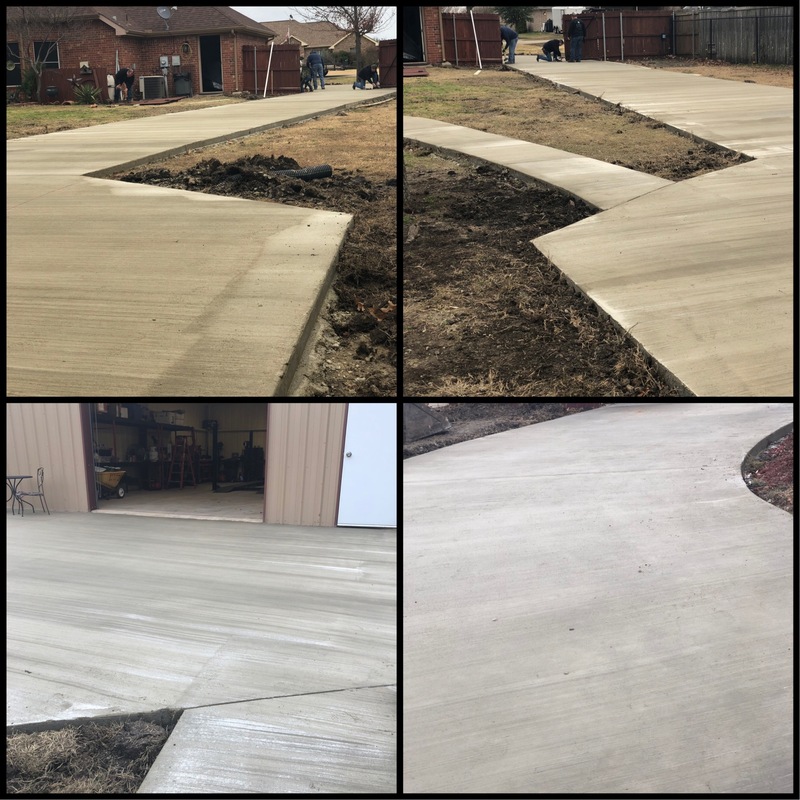 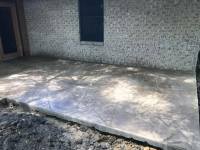 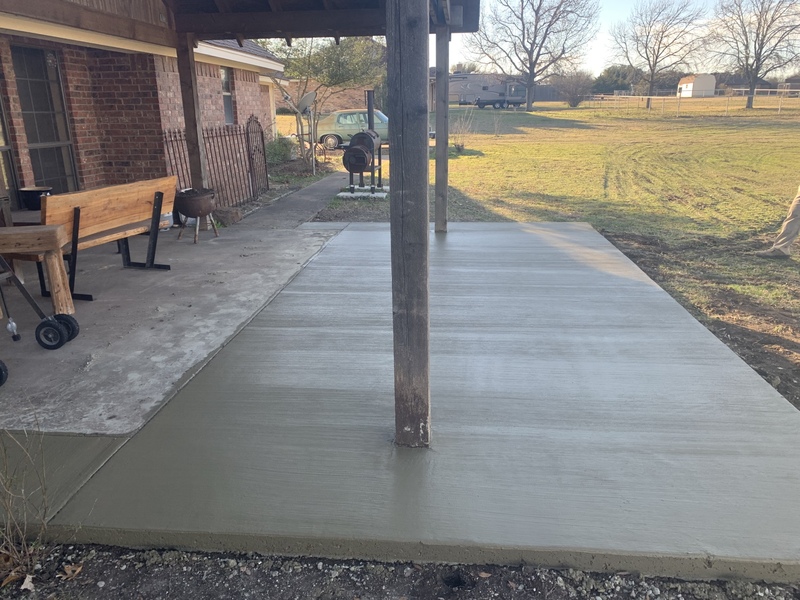 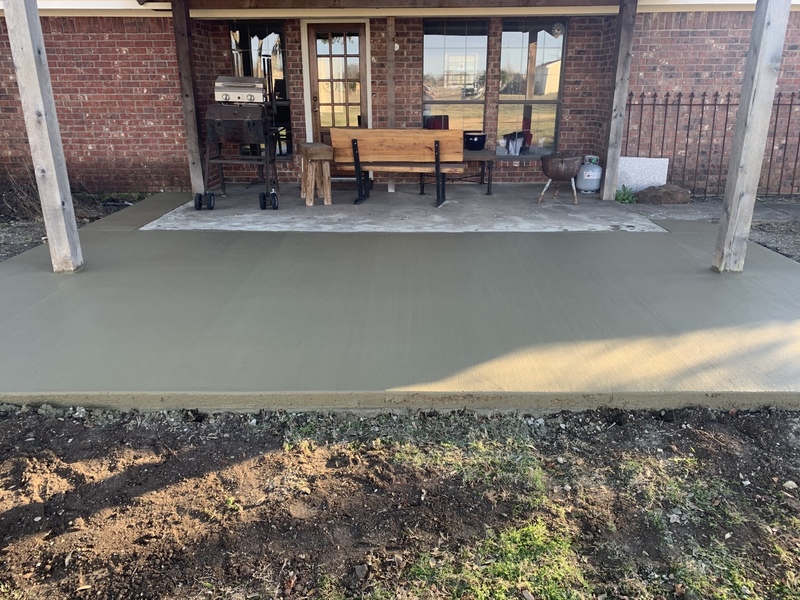 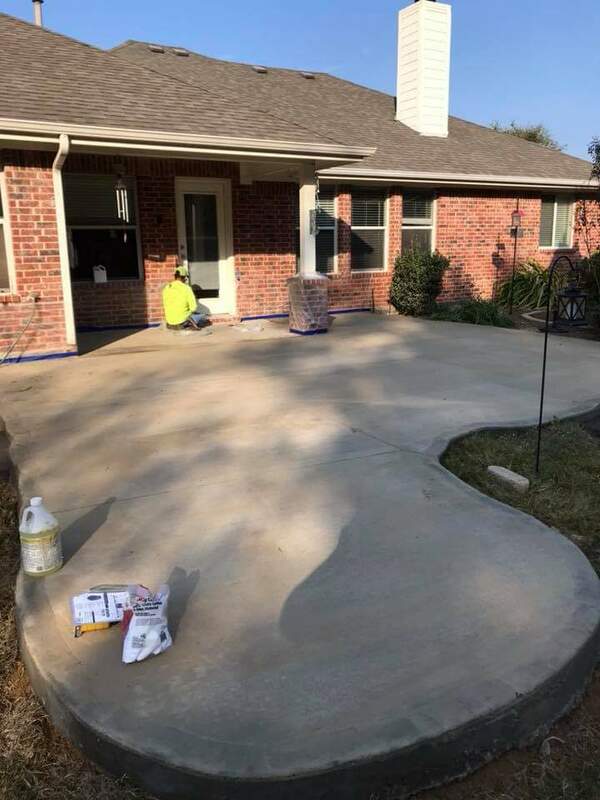 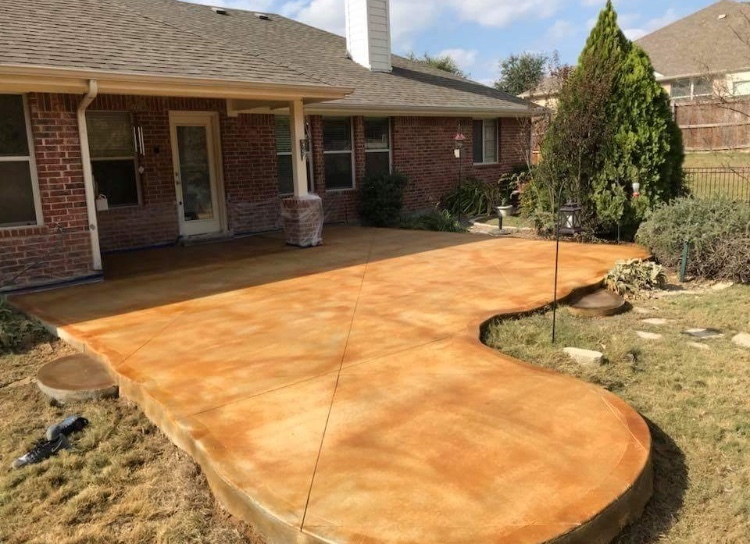 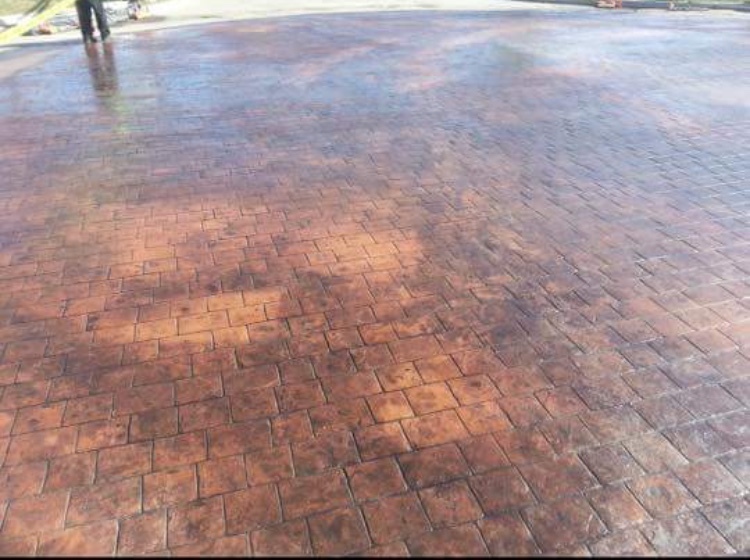 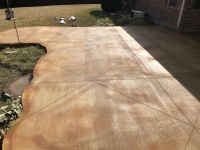 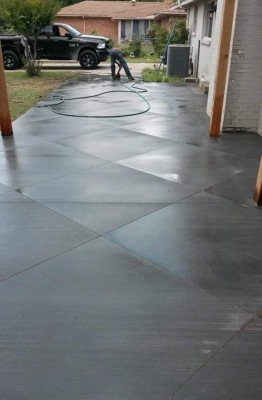 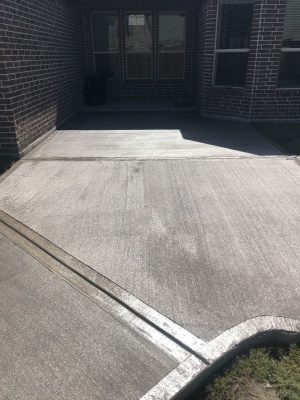 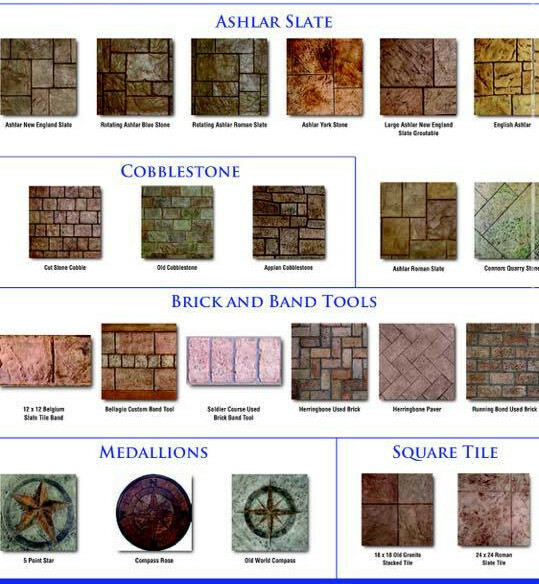 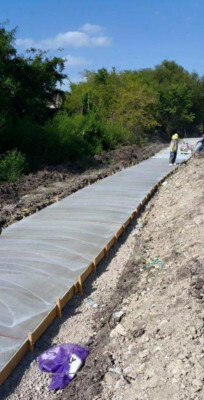 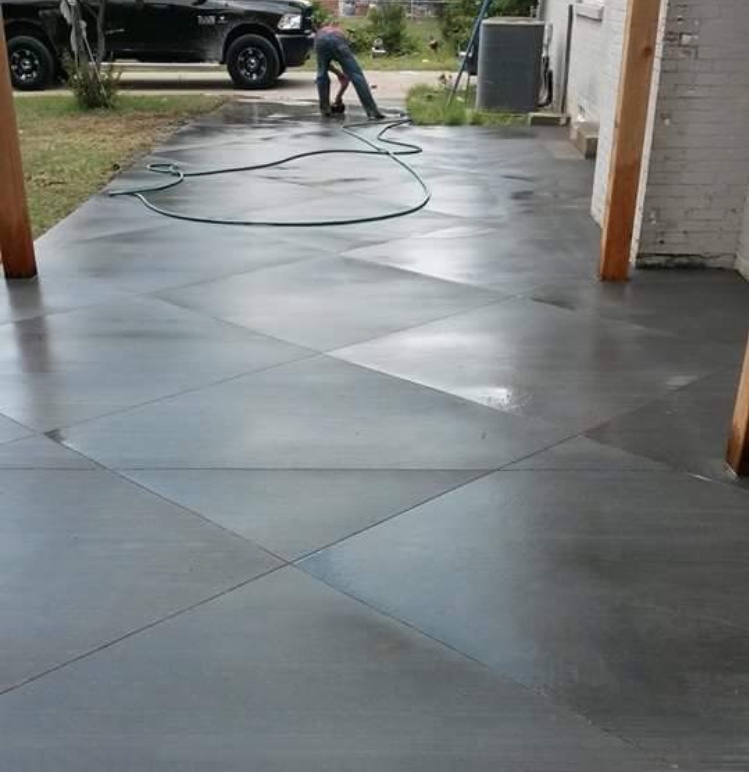 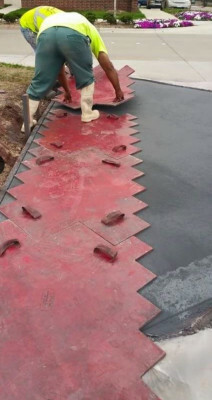 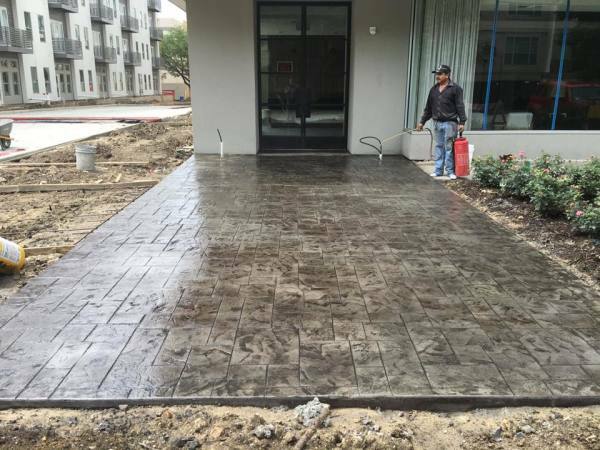 With over 25 years of concrete experience we provide fast and quality product. 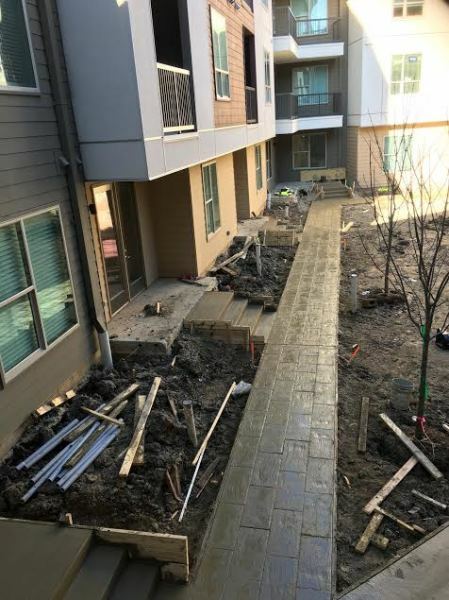 Commercial, residental, or personal projects we can do it all. 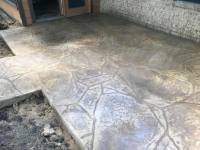 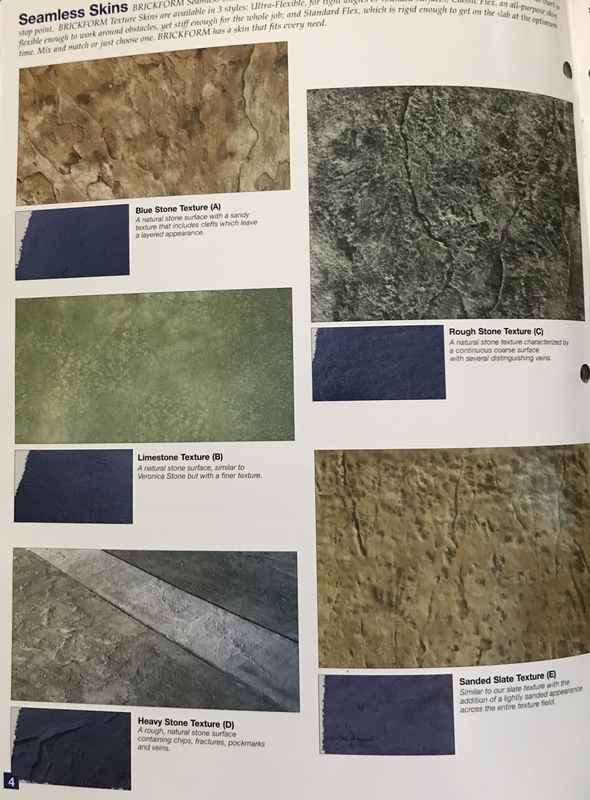 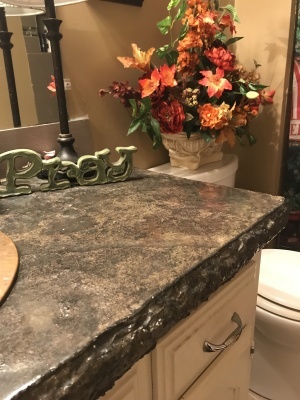 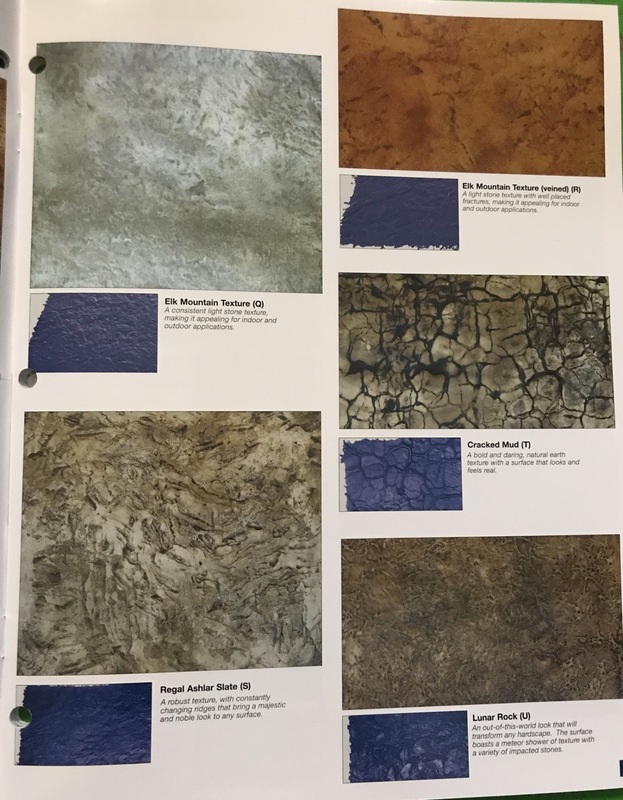 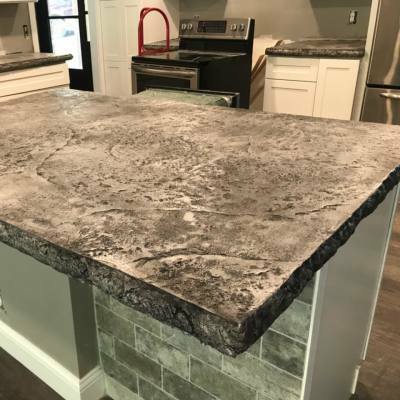 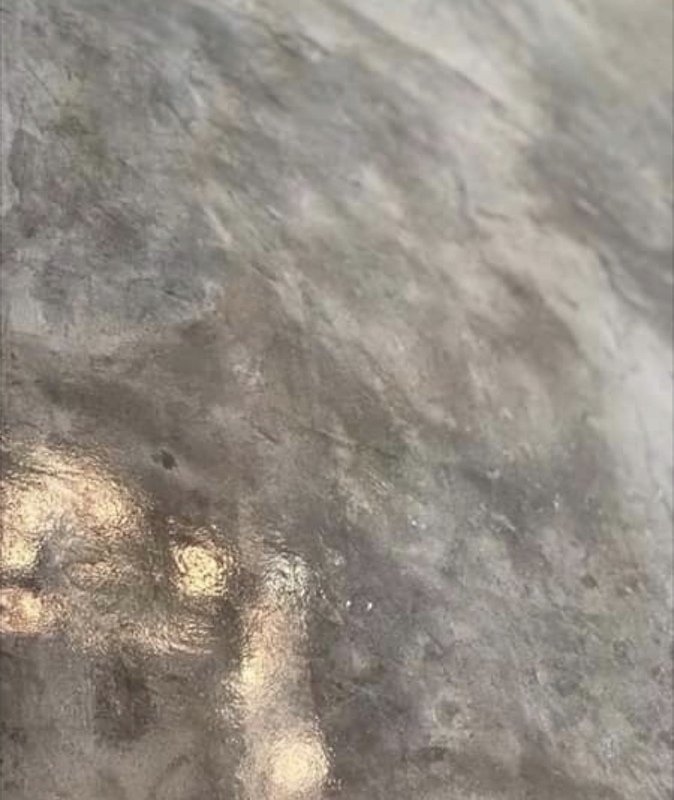 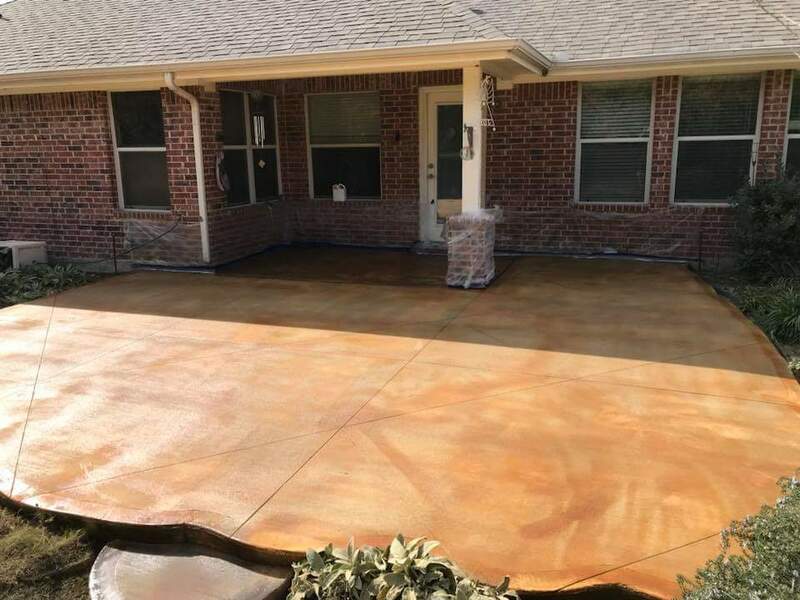 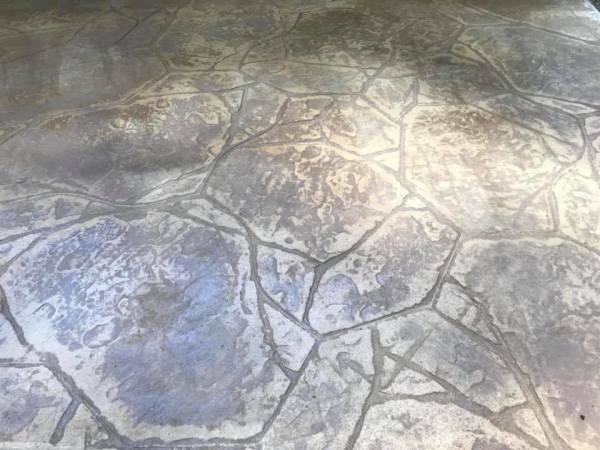 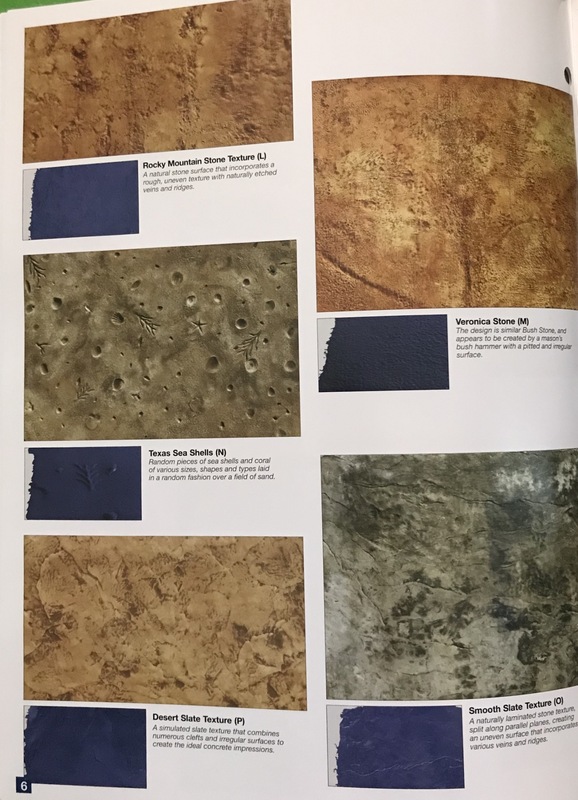 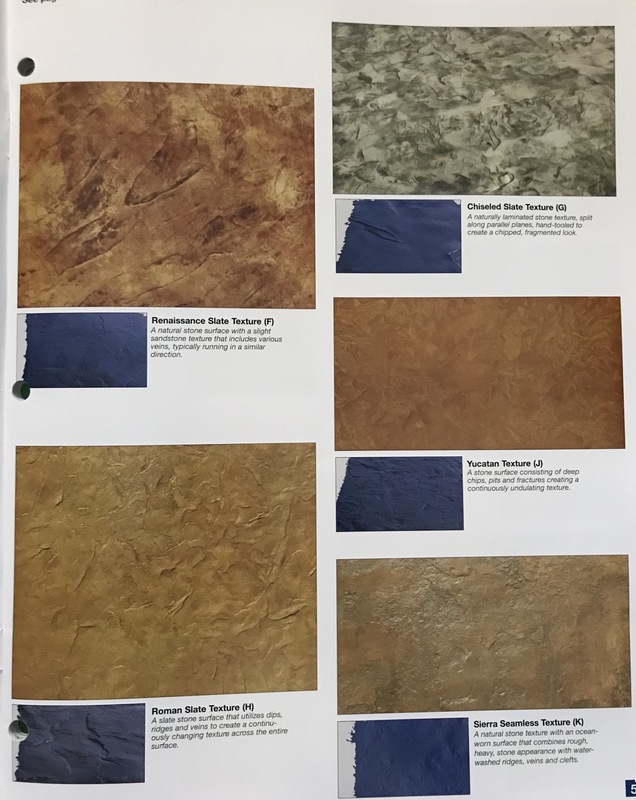 Our decorative concrete includes but not limited to: Stained, stamp, design, decorative, polished concrete and concrete countertops. 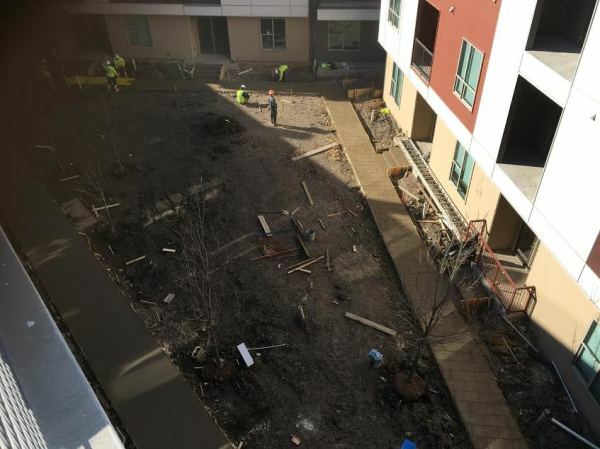 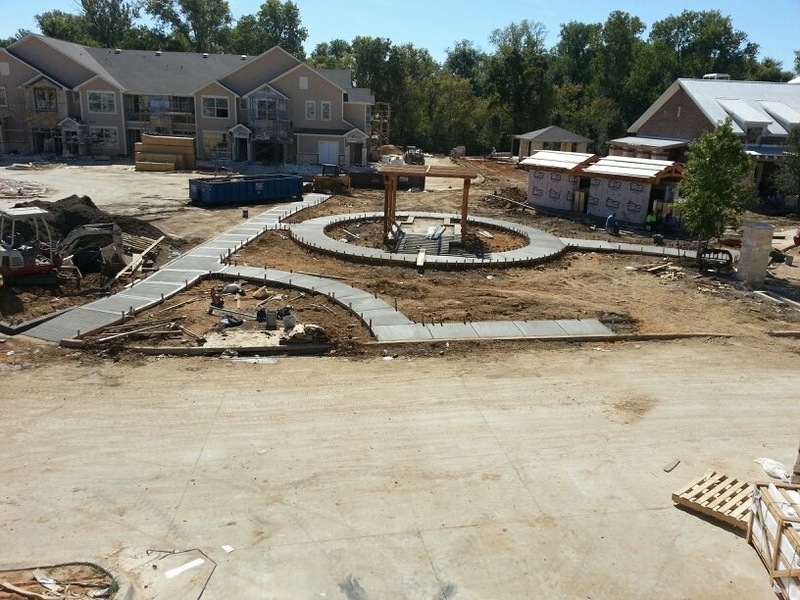 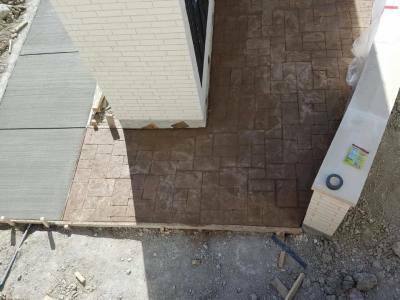 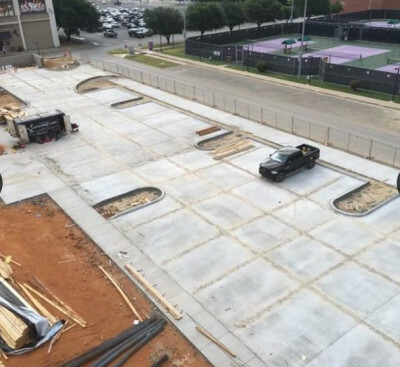 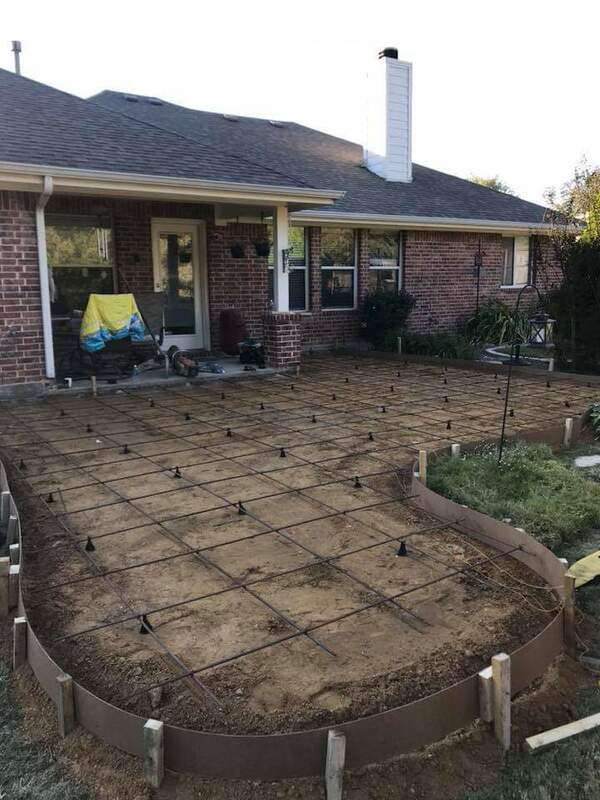 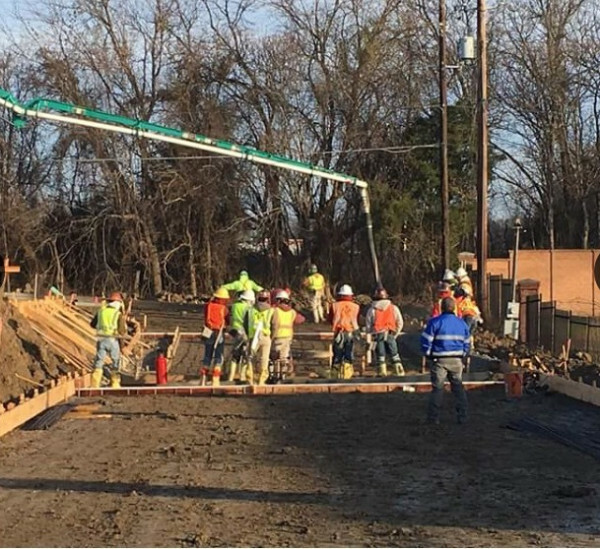 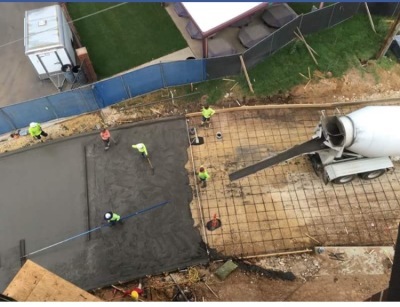 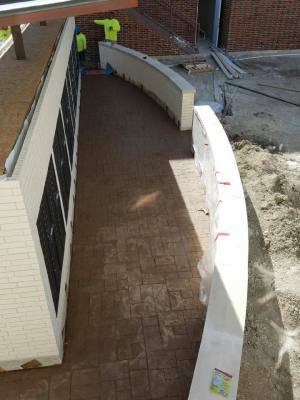 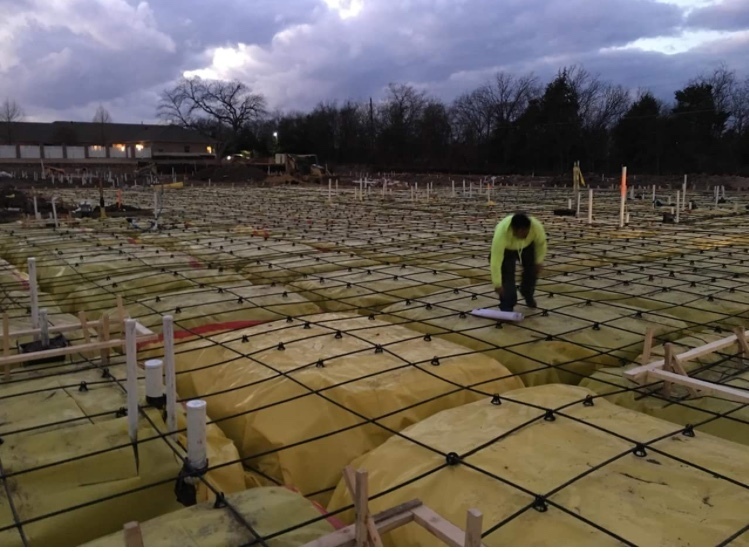 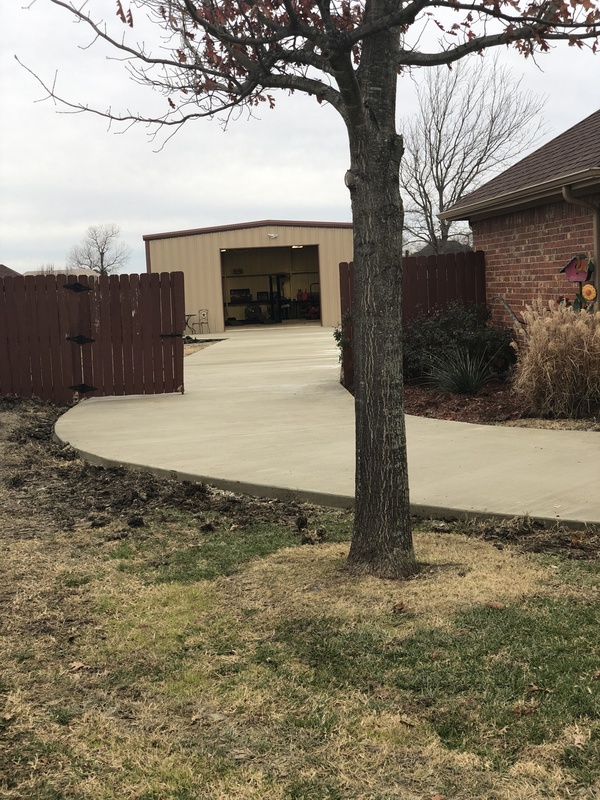 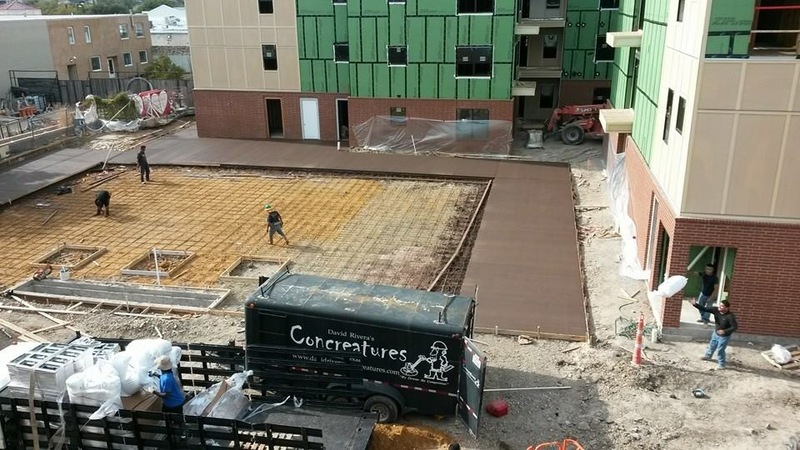 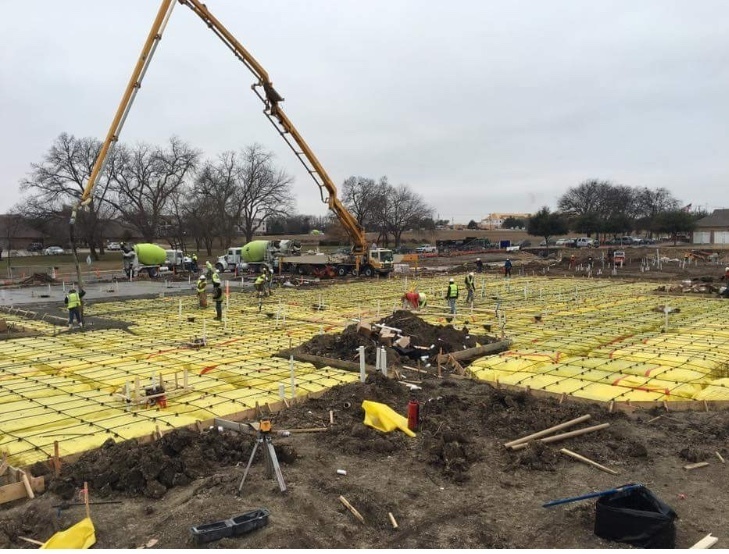 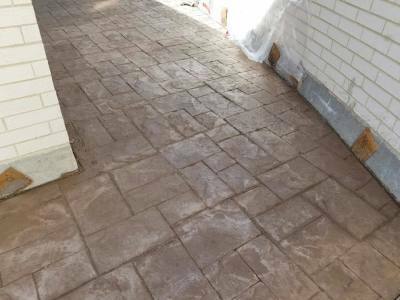 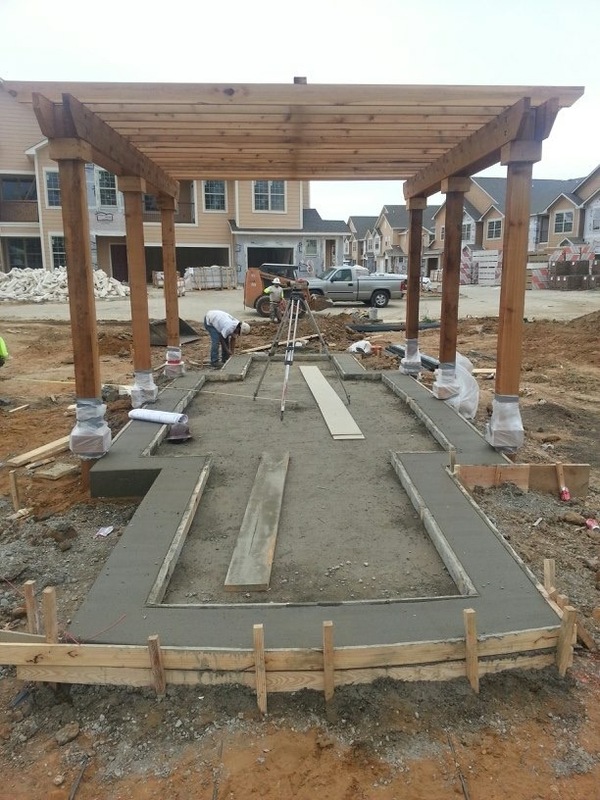 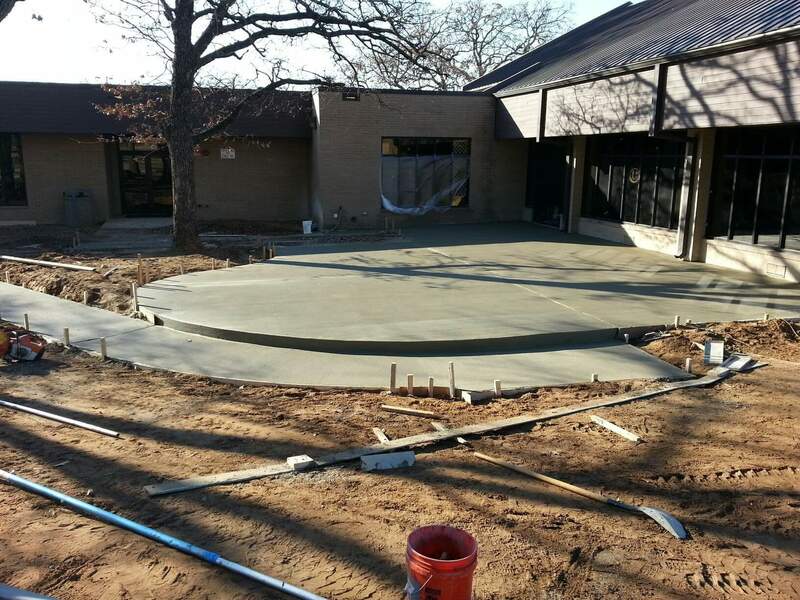 Commercial and residential works include: Sidewalks, patios, foundation slabs, piers, beams, parking garage, and walls. 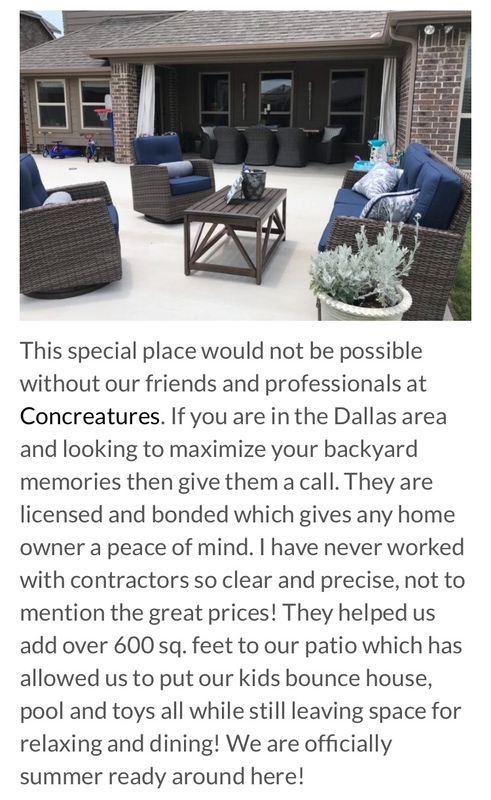 Our staff and professional service will leave a lasting impression. 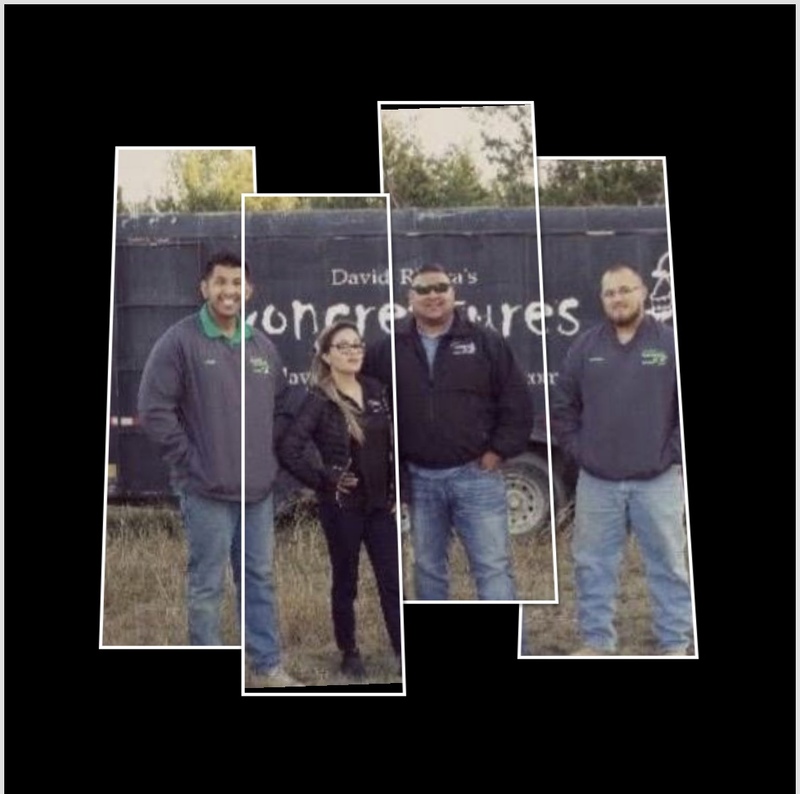 We look foward to working with you. 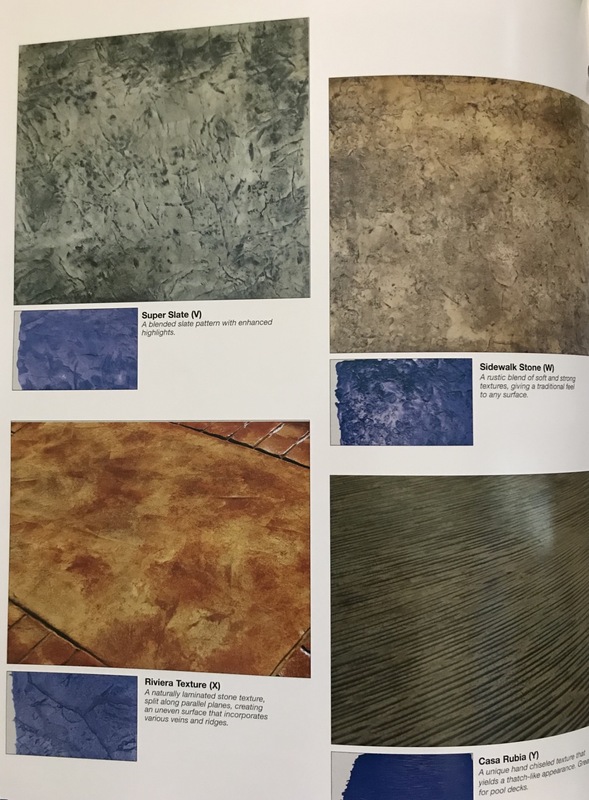 These are some examples of our latest work. 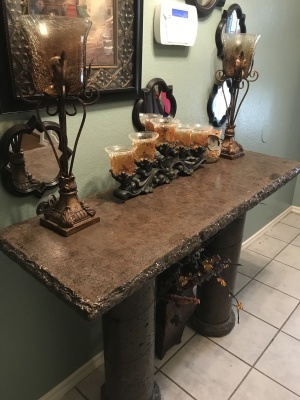 This is one of many patterns that we offer it's called Old Granite Cleft Stone with the colors of Tortoise Shell with Malay Tan Two Tone. 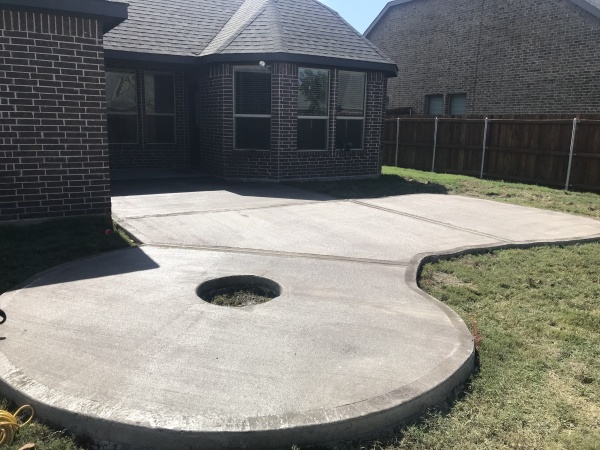 This was done one summer time for a well known customer. 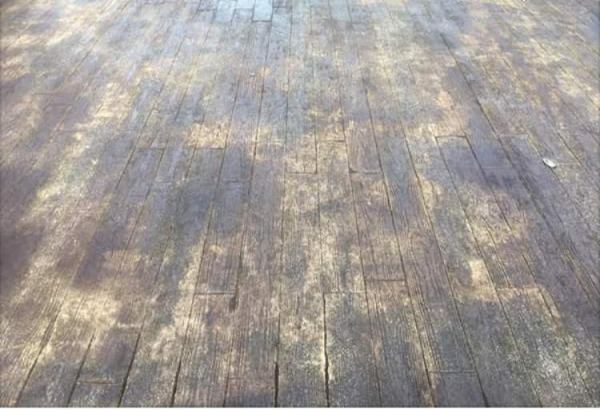 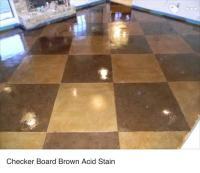 These checkered board floor is Acid Stain. 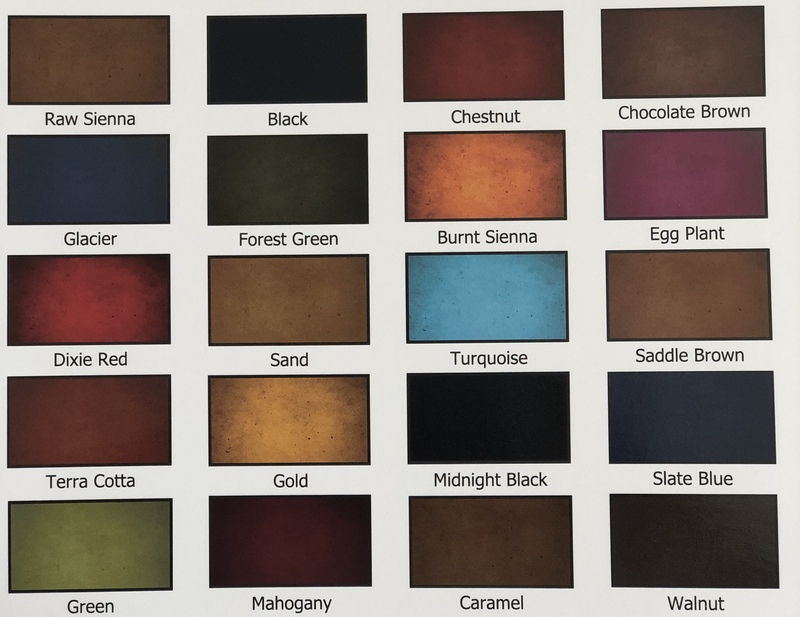 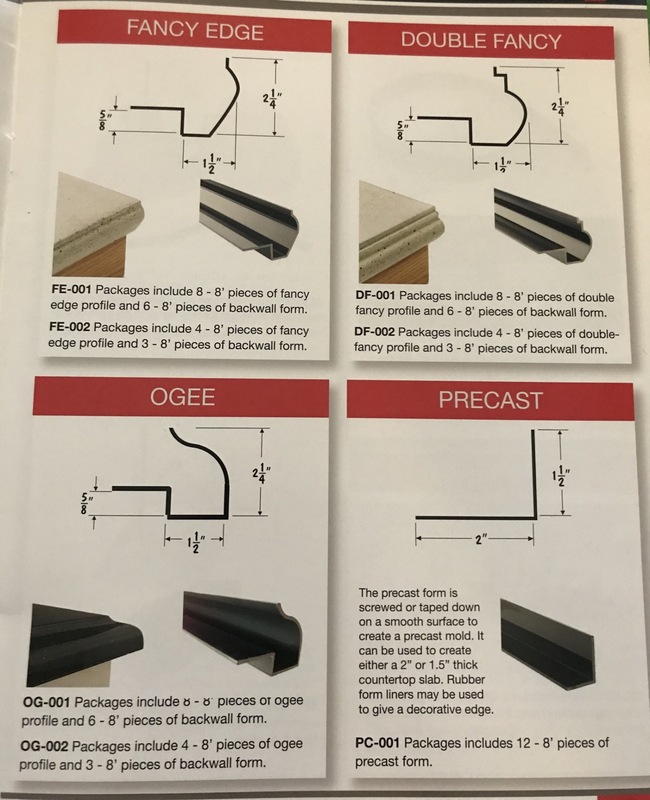 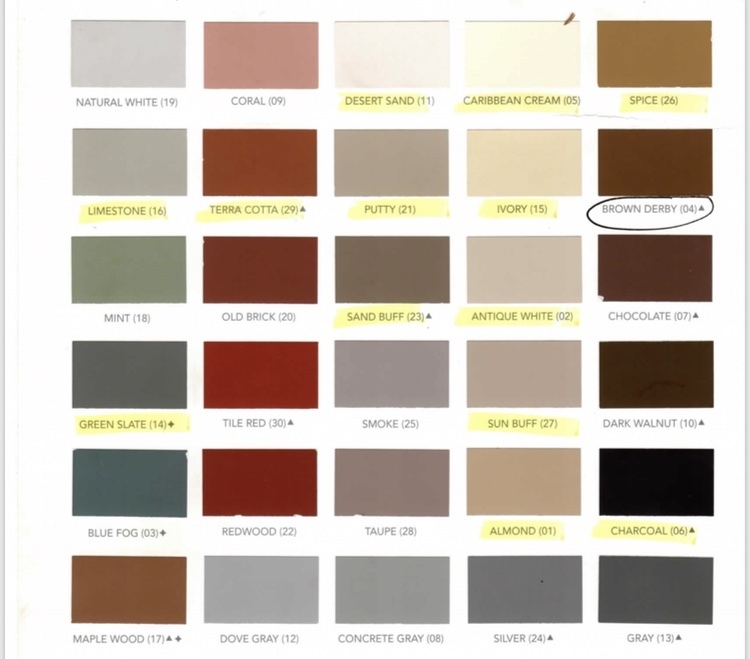 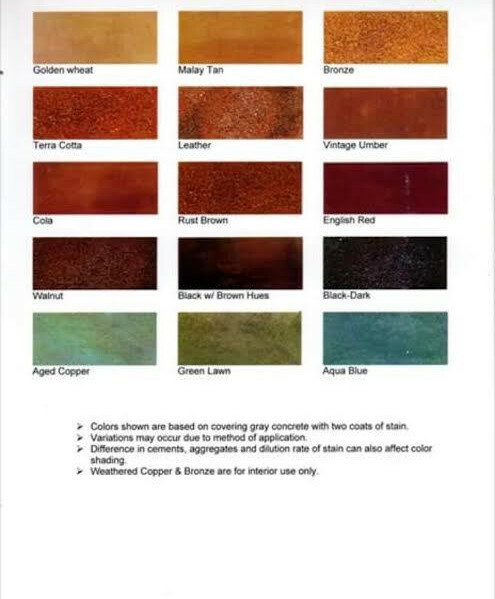 We have several colors to choose from the color chart that is provided on your left. 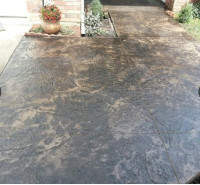 This here is a Ashler Slate Stamp with Intergul color. 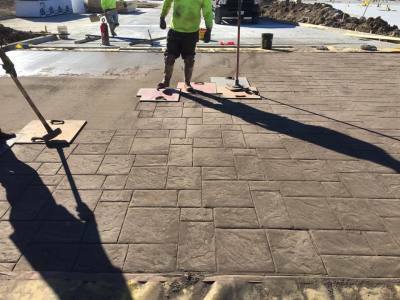 This is a Crosswalk with a Herrington Bone Brick Pattern. 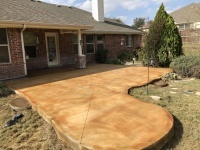 It was done recently at Harmony Hills in Rowlett Tx. 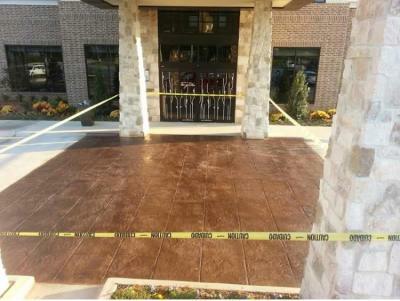 Driveway at the Hilton Hotel in Texarkana Tx. 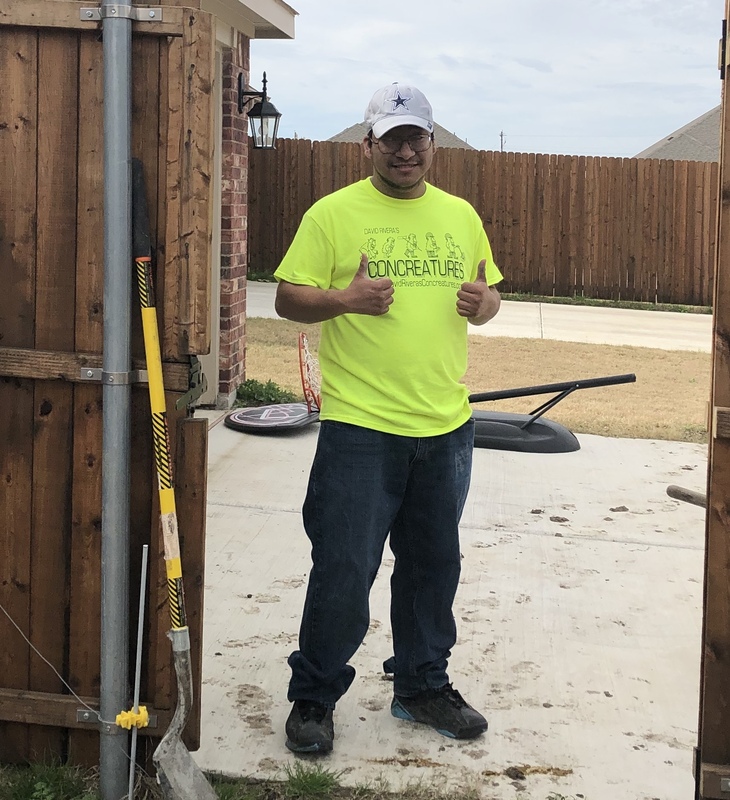 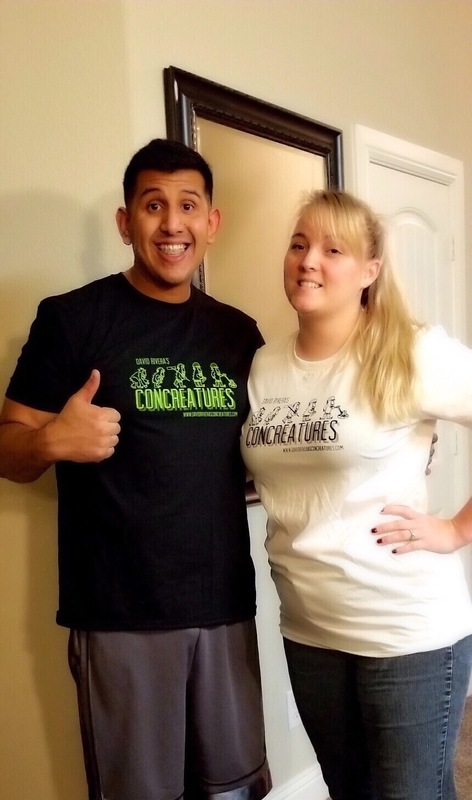 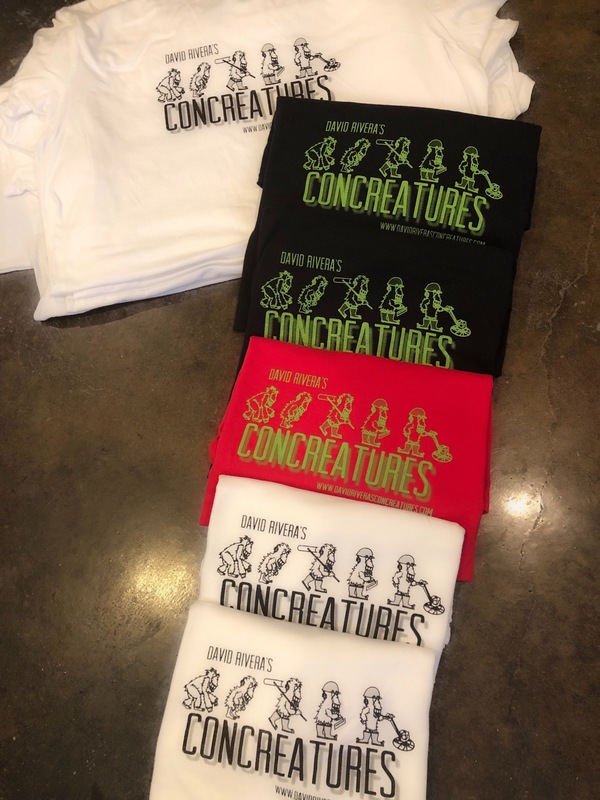 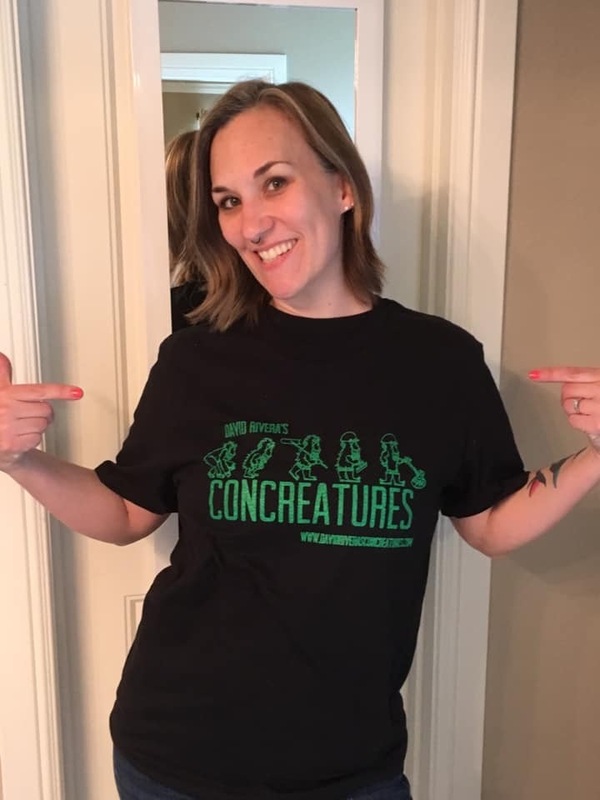 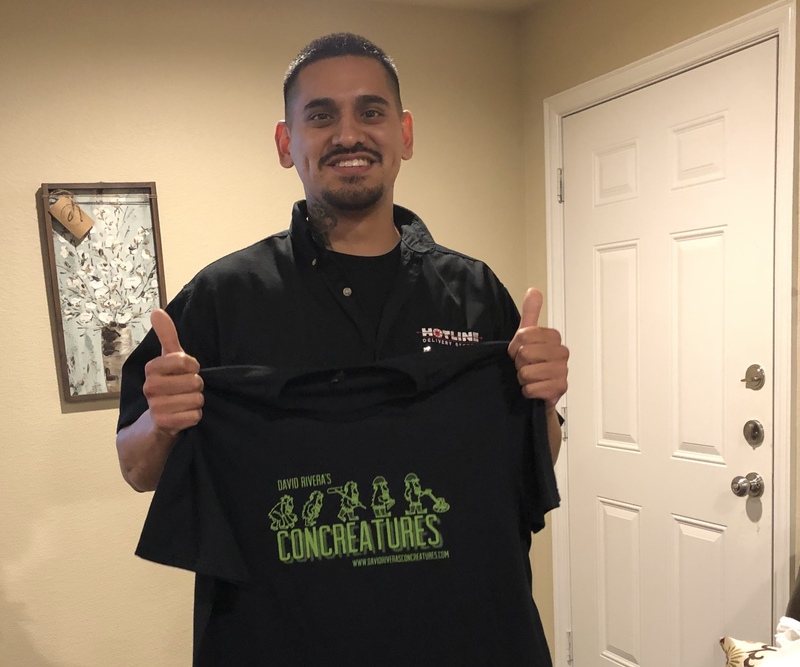 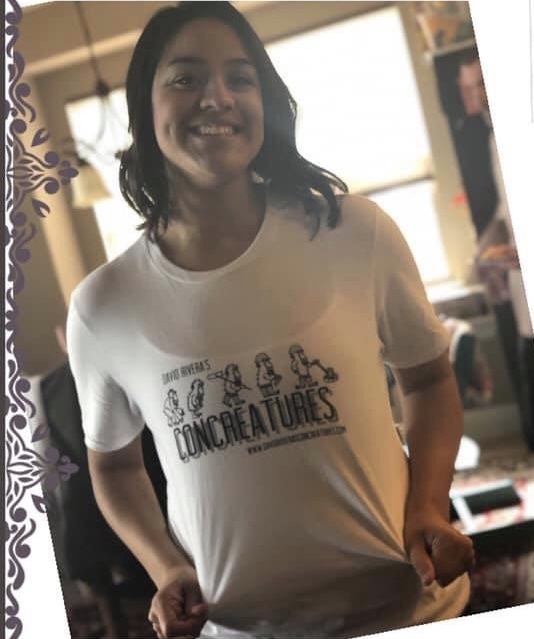 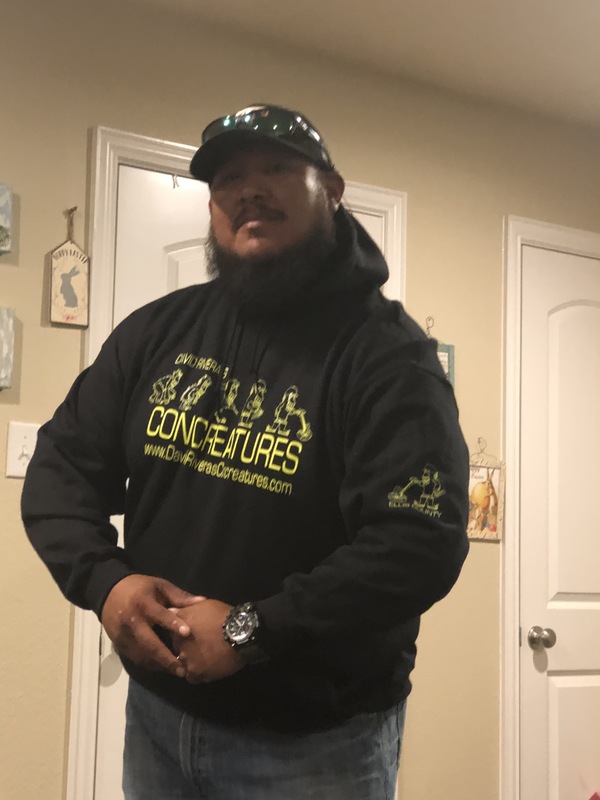 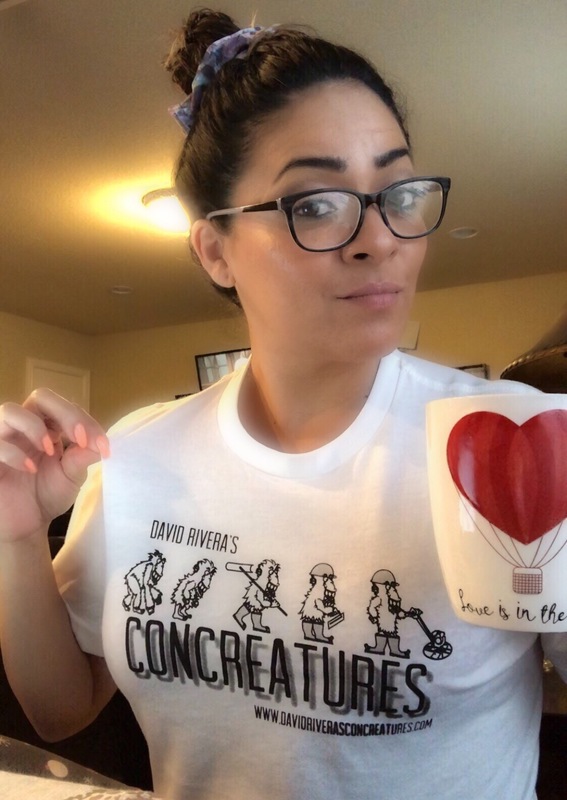 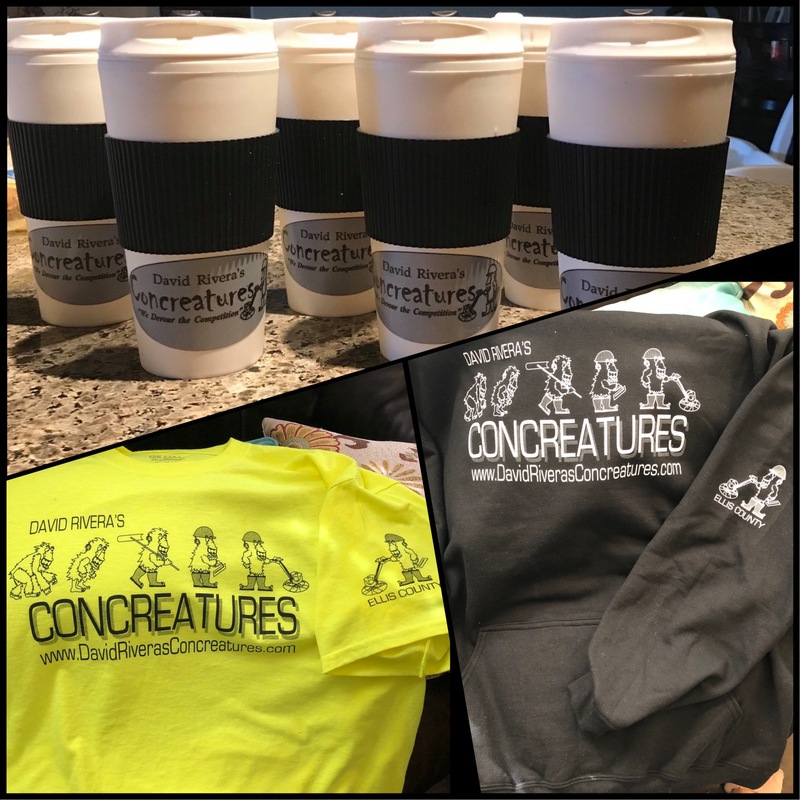 ​David Rivera's Concreatures has worked along side with well known Concrete Companies in Texas. 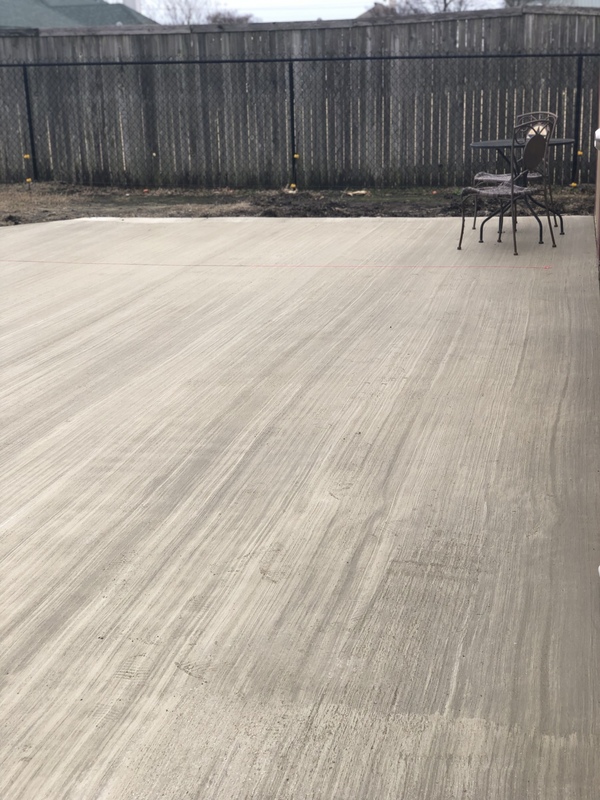 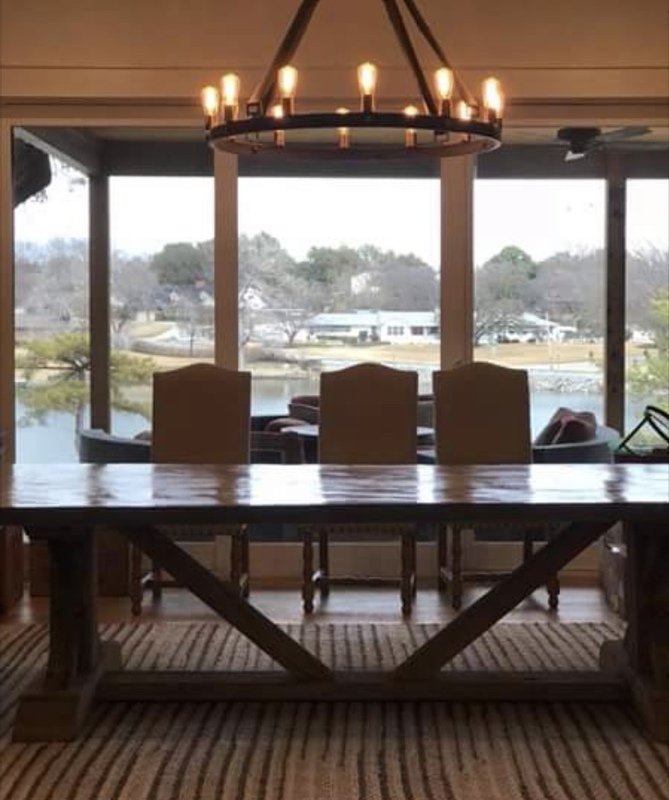 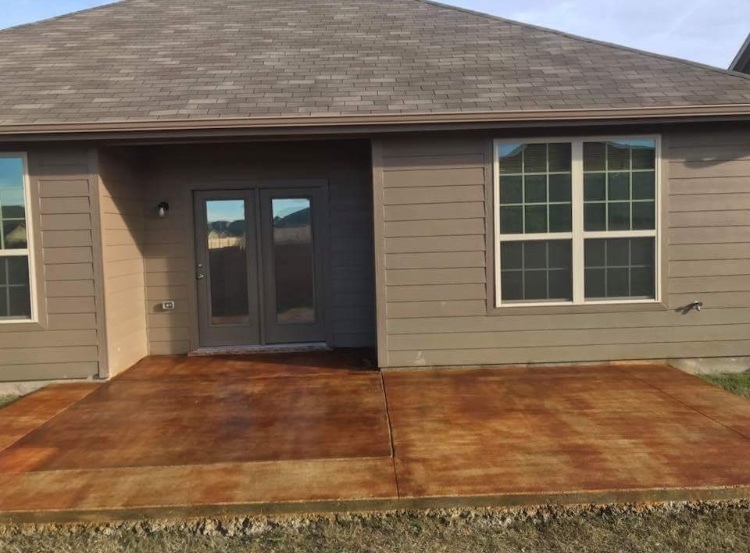 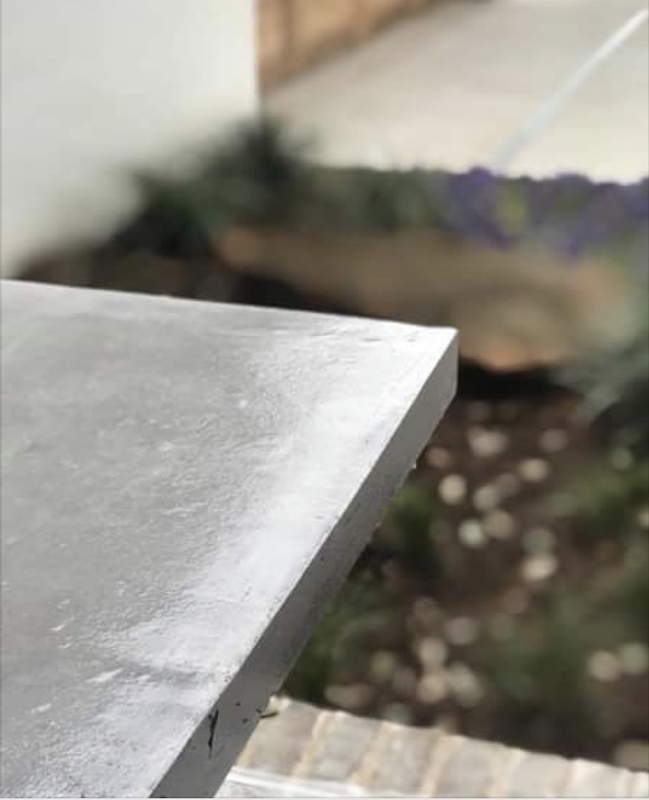 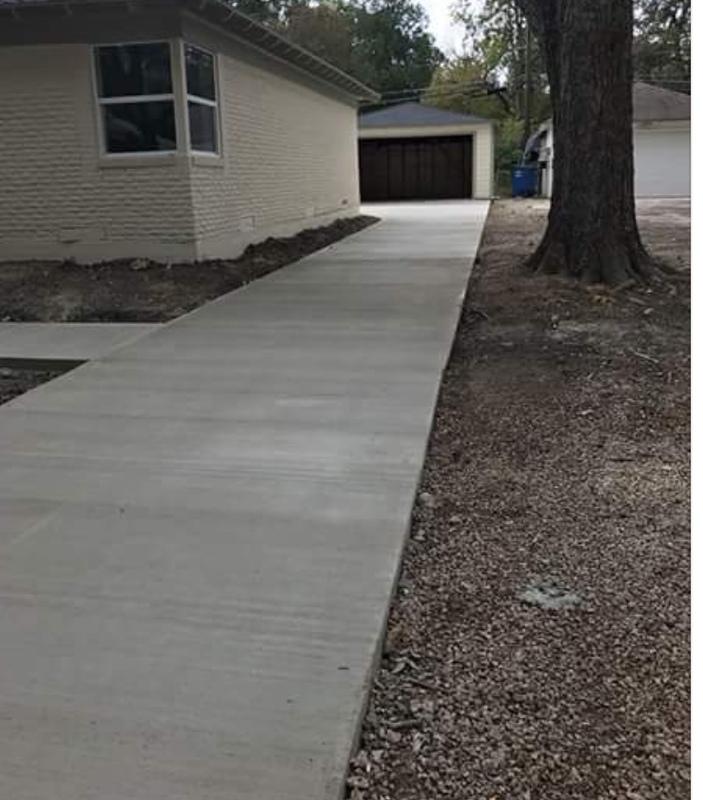 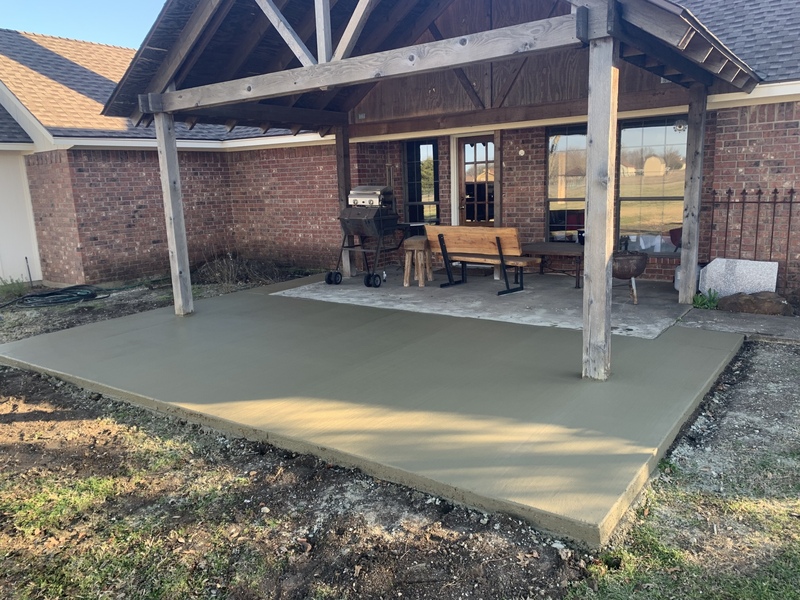 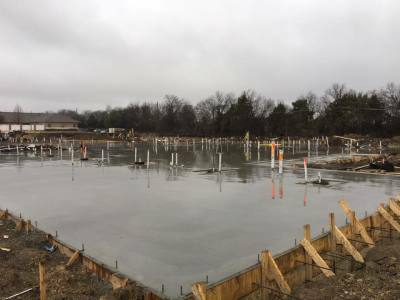 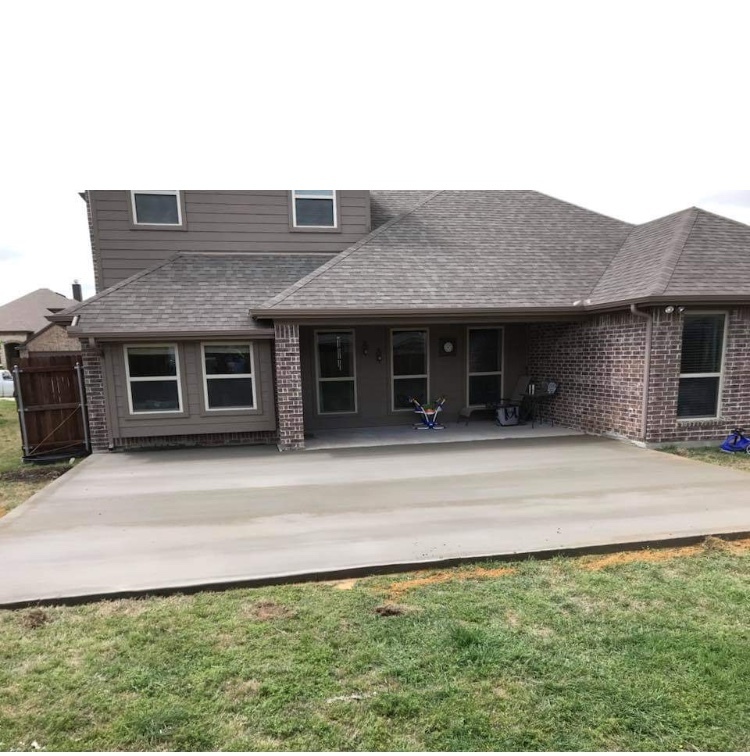 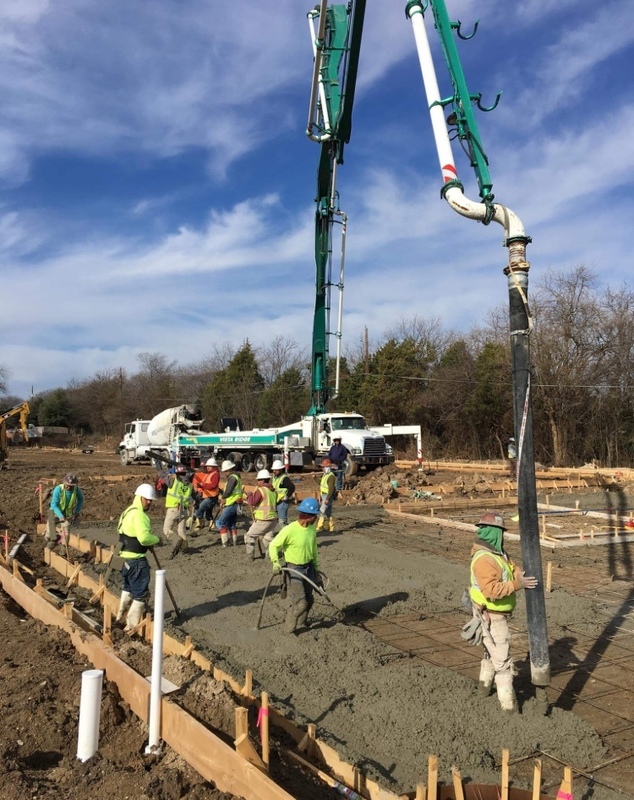 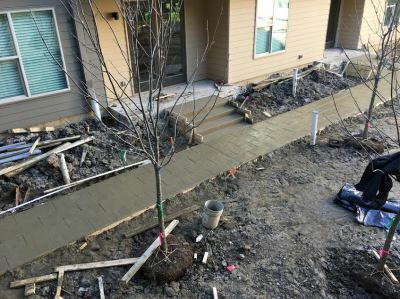 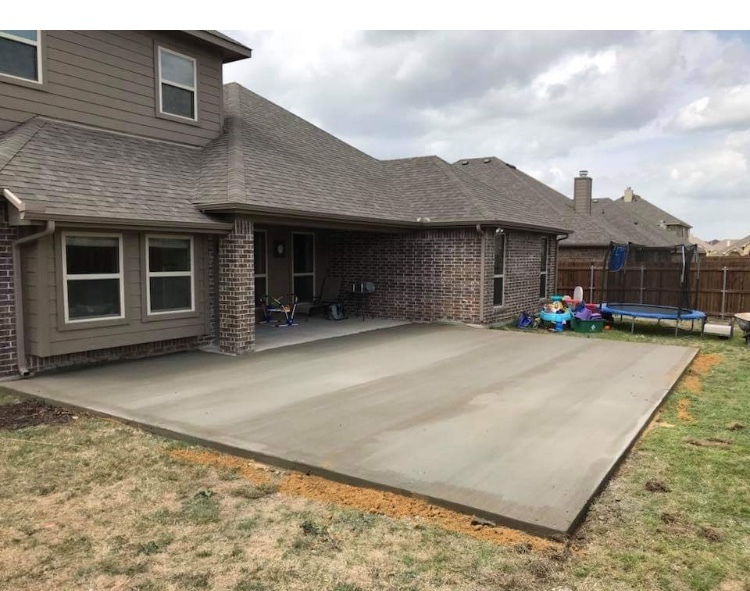 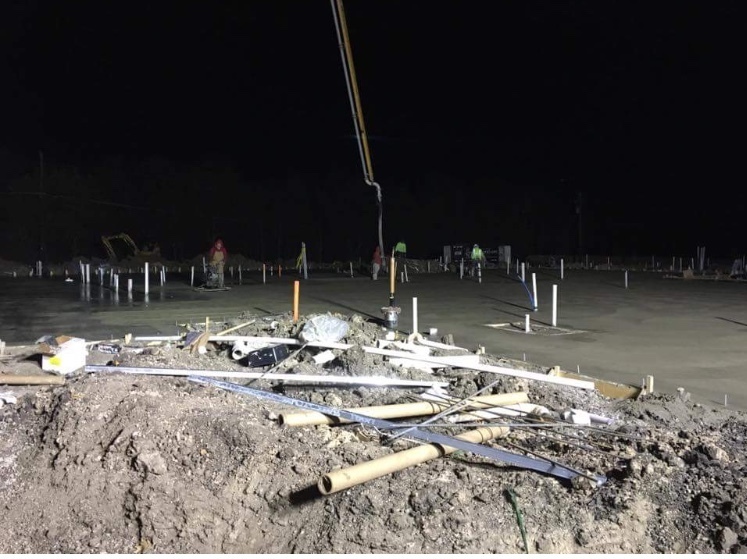 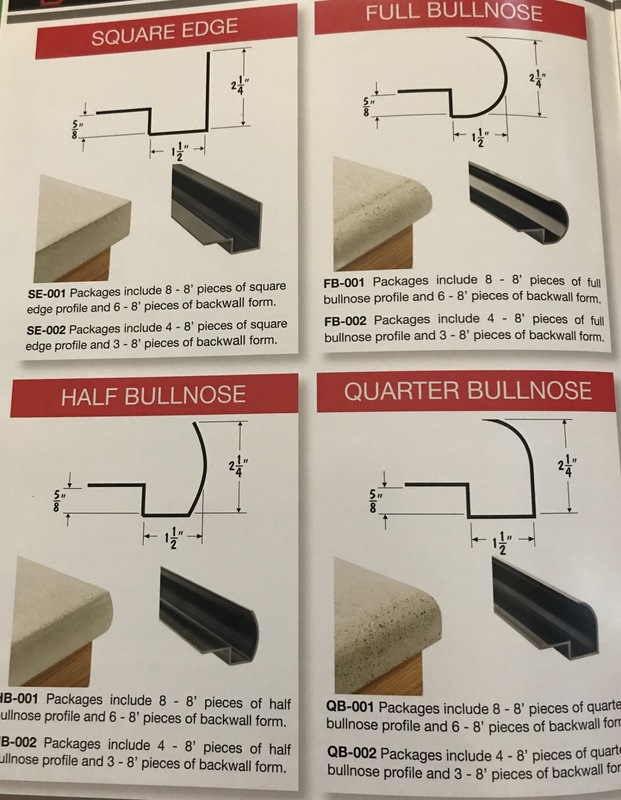 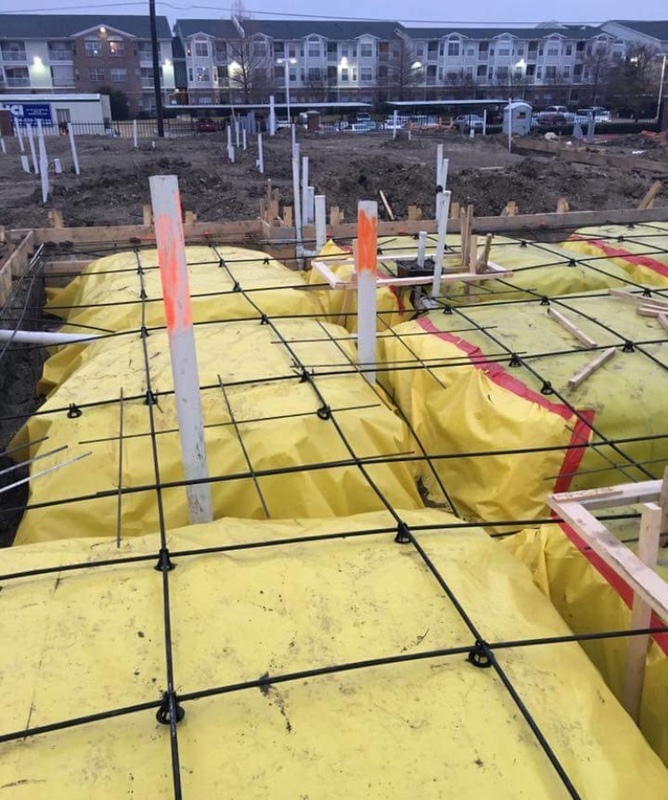 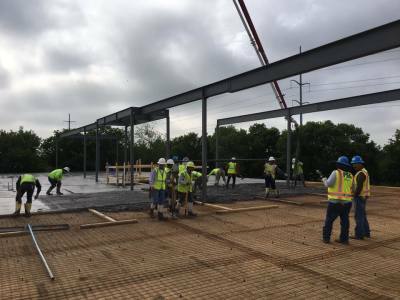 Companies like; Balfoure Beatty, Kent Company, Fair Field Inc., Wood Partners, Astaldi Conctuction, Greco Construction, S & S Concrete, Cordova Construction, Tealstone Commercial and many more. 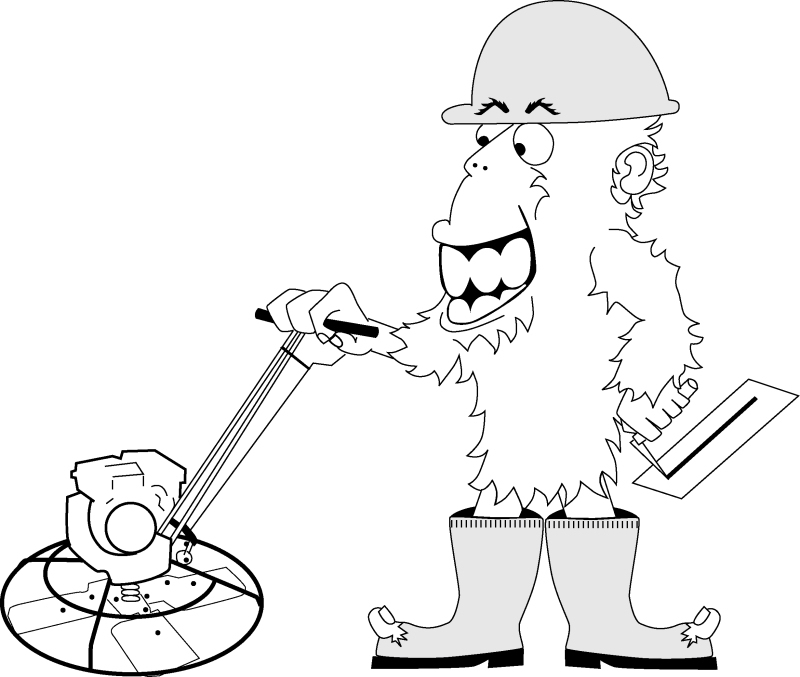 Don't forget to ask us about our Millitary and First Responders Discounts. 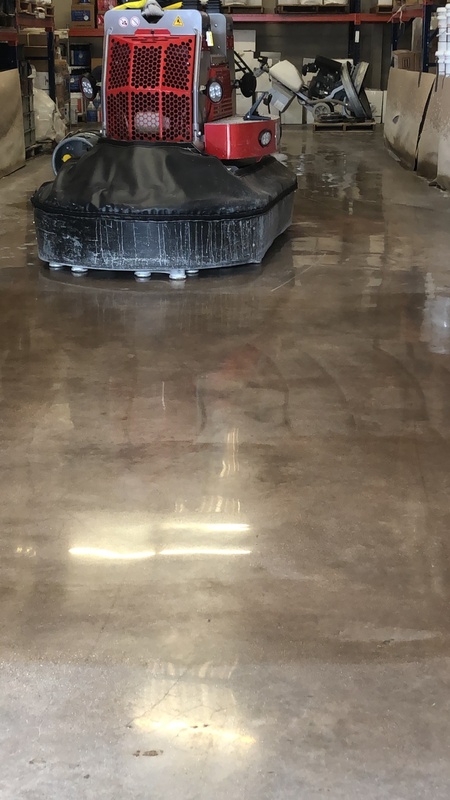 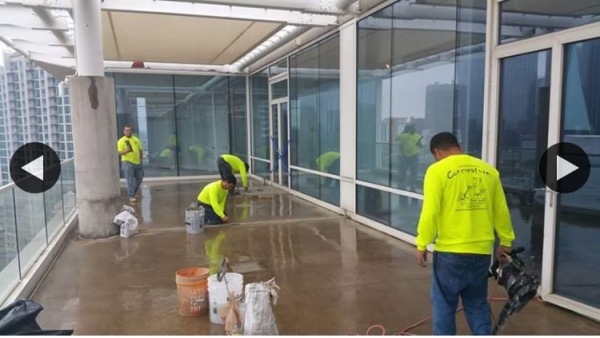 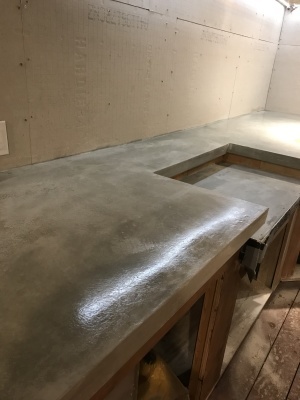 We are now offering Polished Concrete! 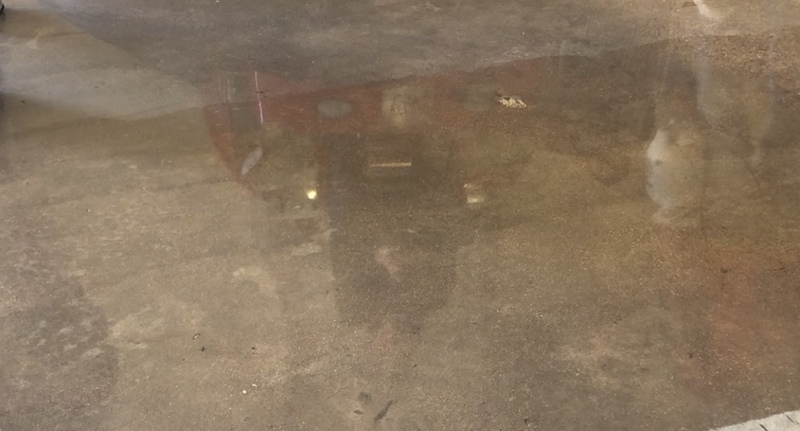 For smooth looking finish we will leave your old floors looking new again. 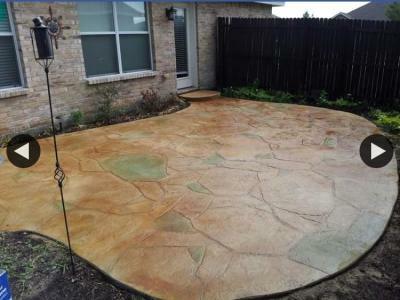 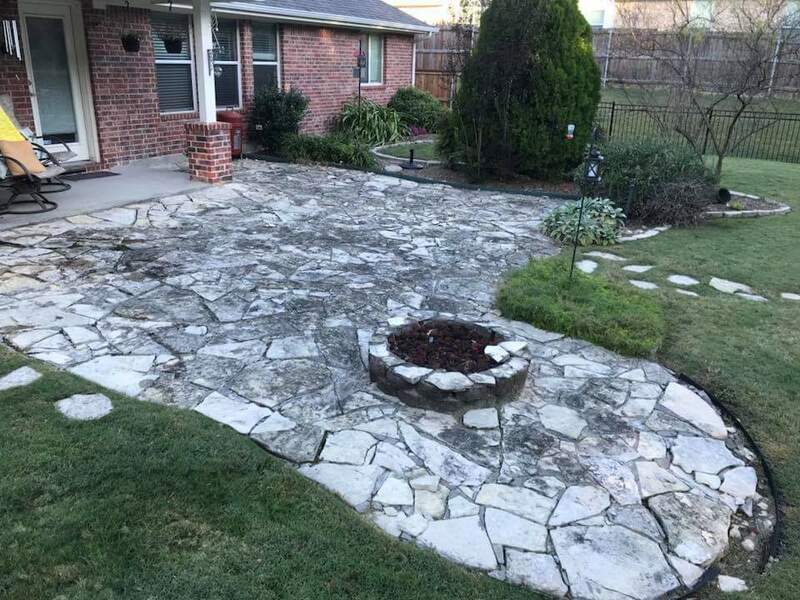 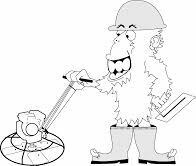 Email us for your free estimate. 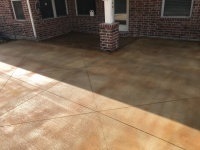 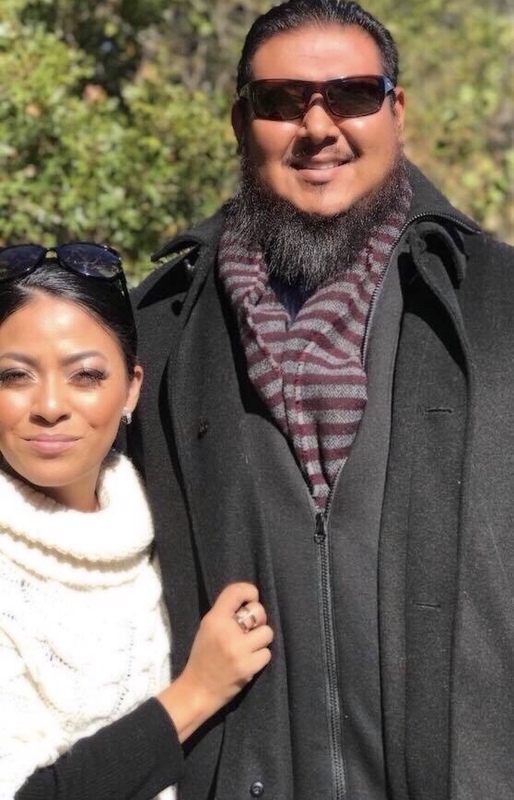 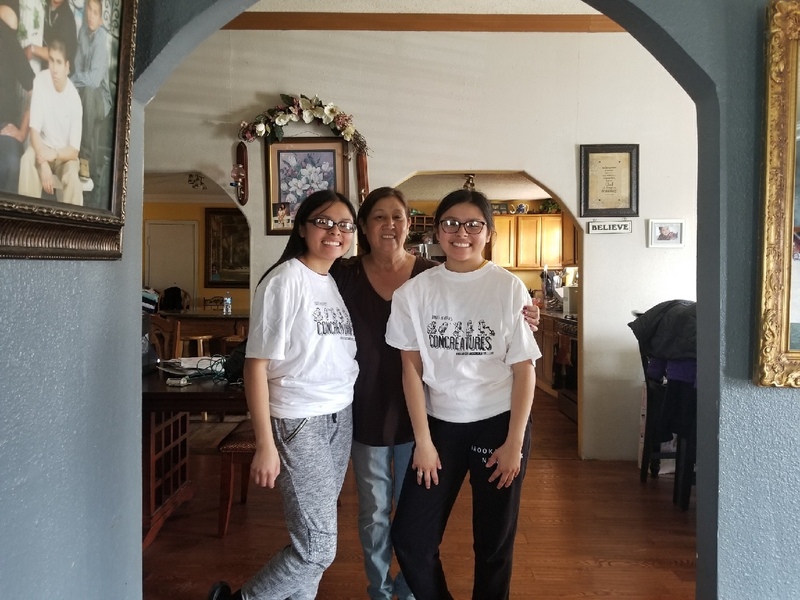 This is a blog that was posted from one of our past satisfied customers. 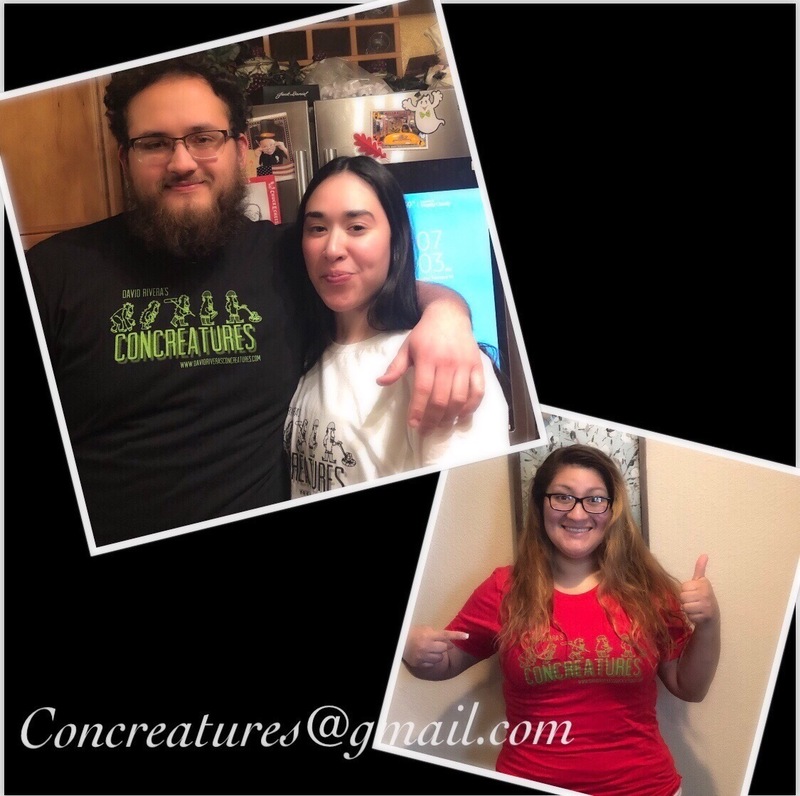 Thank you Mr. & Mrs. Stewarts for allowing Concreatures to come out and be part of this project. 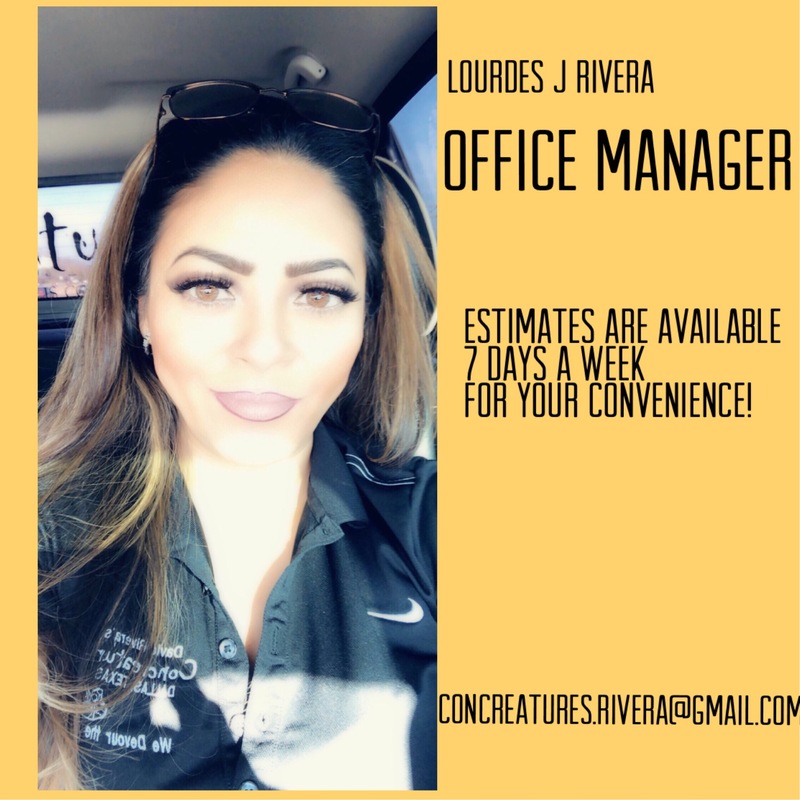 We are now open for estimates 7 days a week for your convenience.